With beautiful mountain views to the North East, this spacious 1 bedroom/den suite features an open floor plan - perfect for entertaining. The den is ideal for either a home office or guest room and the bedrm can easily accommodate a queensized bed with furniture. Insuite storage is an added bonus! UPGRADES include laminate flooring, additional kitchen cabinets. 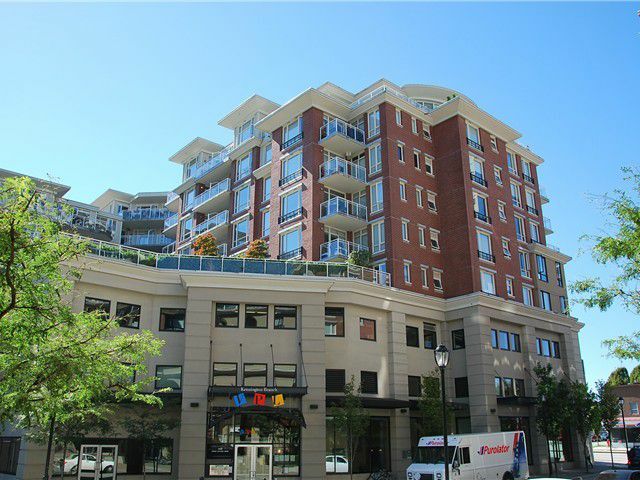 With the balance of the 2-5-10 warranty remaining, this building has great amenities: gym, rec room and roof top patio. CENTRAL LOCATION: 10 minutes to downtown, close to schools, public transit, restaurants and shopping. Within the complex you'll find TD bank, Vancouver Public Library & Price Smart Foods. The suite includes 1 parking and locker. PETS/RENTALS ok.